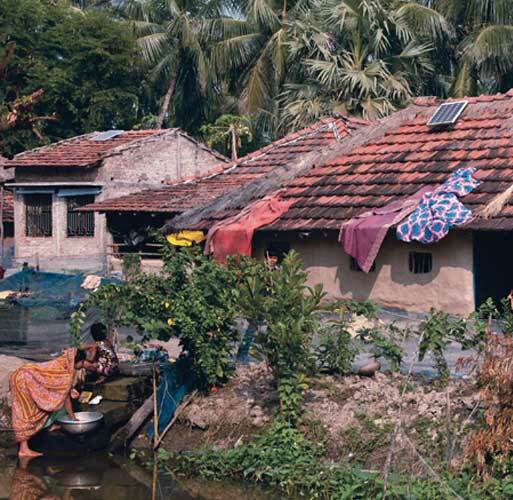 Tata Power Solar continues to enthrall communities with extensive expertise in microgrids projects in India that are remote and terrains that pose profound challenges. Sundarbans is yet another success story of seamless planning and smart execution by Tata Power Solar with strict adherence to agreed budgets and allotted timeline. Travelling from Howrah for 81 kms taking a 90 minutes ferry ride from Patharpratima, is what takes one to the beautiful village of Indrapur, in Sundarbans which leaves you spellbound. A very agile and densely packed village that does most of its business to and from the ferry dock, they manage to go about their day-to-day activities in very limited sunlight with almost next to none grid connected homes. Tata Power Solar successfully custom designed, engineered and installed a 110 kW solar plant that was commissioned in March 2011. The grid matches the average sunlight that the village gets 1 bright day followed by 1 cloudy day. Tata Power Solar has skillfully designed a solar powered grid that is simple, easy to use & maintain and manages to do all this at a very low cost of implementation. 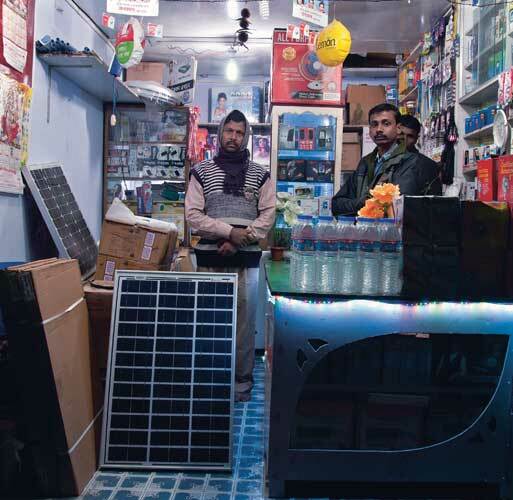 For a community that is remote and removed from civilization, Tata Power Solar has successfully provided Indrapur an economically viable and sustainable source of energy. The only way to access the project location was through a 90 minute ferry ride from Patharpratima, the closest ferry dock which is 81 kms away from the nearest railway station. Accounting for this, Tata Power Solar carefully planned to streamline the shipment of components and work process to ensure that the accessibility issues do not affect the overall project delivery timelines. Despite a population of 200,000, the island has no electricity supply. To make up for the lack of continuous exposure to sun, Tata Power Solar custom designed a unique solar power system on a two day autonomy mechanism in which battery bank was altered to discharge a 25 – 30% per day irrespective of a sunny or a cloudy day. This way the battery stores up to 70-80% energy that can be used the following day. Well suited to the fragile ecosystem of the region, the solar power plant gives the fishing community of 10,000 people access to electricity and clean water. Tata Power Solar through this Microgrids project has brought electricity and accessibility in the lives of people who have been operating remotely from the rest of the civilization. 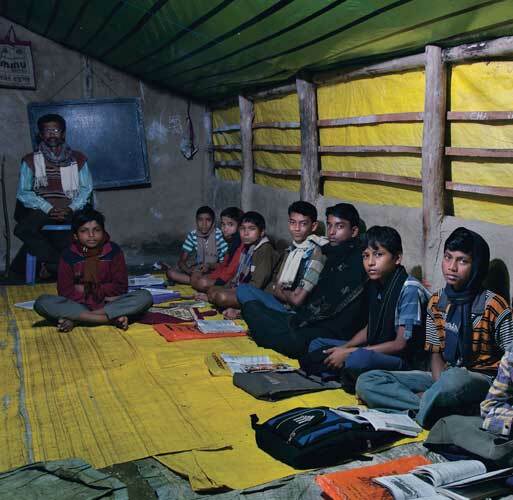 Over 2000 families have electricity and children are able to use good quality of light to do their homework after dark. 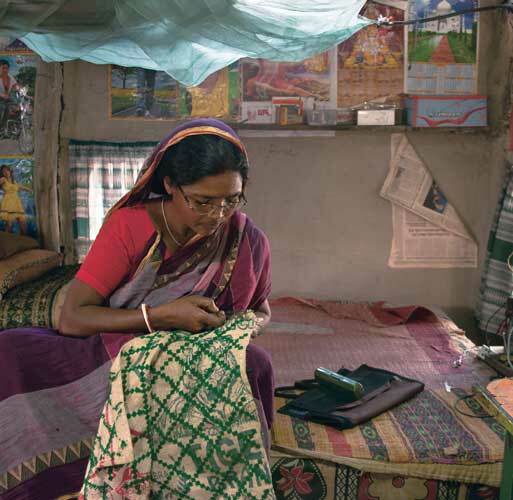 Literacy rates have improved and the island economy has been boosted by extended working hours, especially the periodically held village markets in India. The village now enjoys a night bazaar where its people are able to go buy fresh fruits and vegetables.